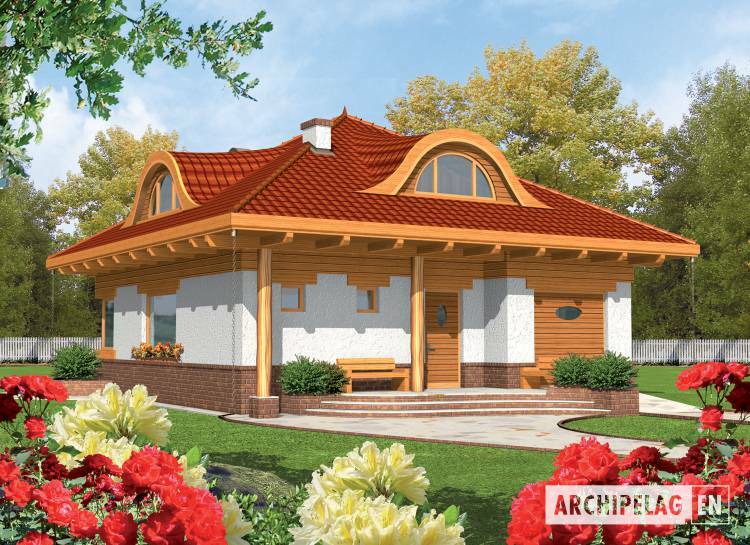 The house with functional attic, with built in garage, designed for 3-5-person family. The house designed in bricks technology with suspended beam and block floor. 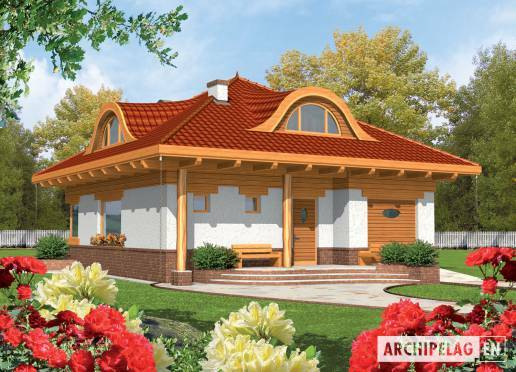 The roof of wooden structure covered with cement or ceramic. Facades and plinth made with structural plaster and wood. Woodwork windows.